Three Steps and … Wow! Casie just wanted to share this quick transformation that she did this week! If you are ready to change your look and have fun… we hope this can help inspire you! “This was a 3 step process but totally worth it…. * Step 2: Applied enlightener to all of the hair until we reached the desired color shade. * Step 3: Then sectioned the hair with triangular partings to apply a color blocking technique that makes all the colors blend together. Which is the fun part!!! This color application can be done with any color! 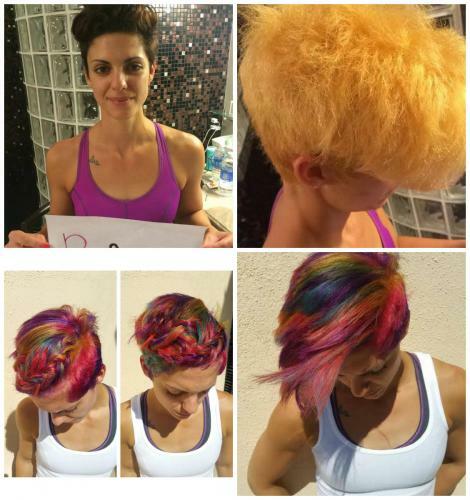 Come by for a free consultation to see what fun colors we can do for you!! !